Collins House 5 March - continuous every Wednesday from 10am to Noon. 10 weeks for $150 or $20 per session. Tutor: Dr Andrew Burke, author, poet, lecturer. bush beside Allen Park, at the base of Melon Hill. I'll be starting from scratch. a joyful and life-enriching activity. Cost? $5 for the complete course. Please pass this on to friends and any groups you think may be interested. Save the Whales at www.whalesrevenge.com Sign the petition and play the game (there really is one). "JW: When you put your horn in your mouth to play, what's going through your mind? 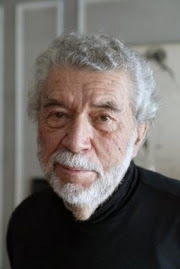 "SR: When I was a boy practicing the alto sax in my bedroom or in the closet or someplace else in my house, I would sort of do what I do now, which is go into a stream-of-consciousness state. This is what I do today when I’m soloing in a concert setting. I go into this neutral mental state. To create, my mind has to be blank. I may think of a few things at the beginning to get started. But when I really get into a solo, my mind is completely blank. You can’t think and play at the same time. It comes too fast." 'The great pleasure, for Manhire, comes from how poetry mines the imagination. "One of the truisms of writing is that you have to show a little respect for your own ignorance rather than start off as a know-all . . . writing what you don't know is at least as important as writing what you know. The whole business of surprise as you write is the great joy." Often he will just sit down and scribble words for several pages, "until suddenly you just bump into this very strange phrase that you couldn't have anticipated and that is charged with all sorts of resonance, so you chase on after what that phrase suggests and suddenly you are in the territory of what you don't know; that unmapped space". of course not. Okay then, let’s salivate together. all of this . . . well, shall we say a little Mozartean? hands are doing. Robbing St. Peter to pay St. Paul, eh? for our listeners? Just one: Beware the blowflies of fame. Thank you, Halvard Johnson, for this delicious quote. Yes, it IS a long weekend and yes, we WILL be having WOW as usual! Our invited reader is MURRAY JENNINGS, who will read from his just-published book of poetry, "Flash Company". Given WOW's new format of occasional invited readers and a focus on our own work, please do bring along something/s to share, to a strict maximum of five minutes. Tea and coffee supplied. Biscuits appreciated. WOW is a not for profit organisation. We are not funded and all door monies go towards the rent. and various poetry styles and 'fashionable hijinks'. Meet my next grandkid. Doesn't he look like his father! 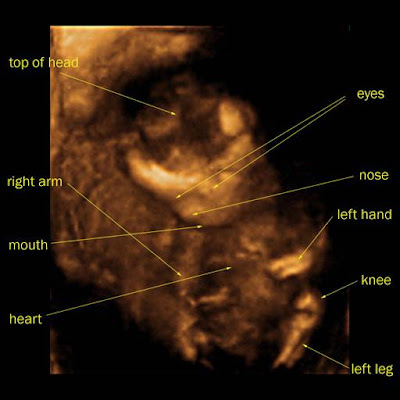 He or she will be the third child of my eldest son Miles and my daughter-in-law Meredith. Congratulations! Vivienne Glance ~ guest-hosting the event with poetic humour, word play and some verbal seduction. Dosh Luckwell ~ State Final runner-up and teller of tales dark and mysterious. Come along and support West Australian poets! PAGES CAFE and the State Library of WA. My cousin Mary Lyden went down south recently, wayyyyy down south, and took some great snaps. 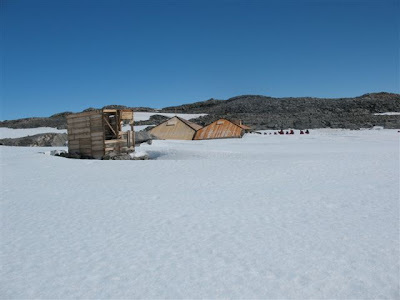 Here are a couple of Mawson's hut at Cape Denison - I will try to right that second photo so all his stocks don't fall out into the snow. you work seven days a week. 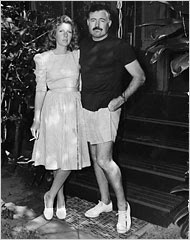 Ernest Hemingway with Martha Gellhorn on their honeymoon in Honolulu in 1940. This winter has been most extreme in China, as no doubt you have seen reported in the media. 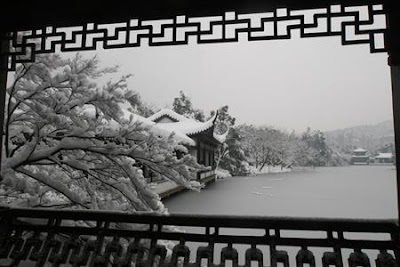 Here's a photo from Reuters of the beautiful West Lake in Hangzhou aboslutely snowed under. 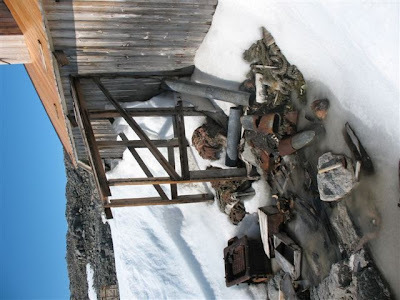 We have been told it has frozen over, which would be an amazing sight. After all my talk in recent times of snakes and kangaroos and such, readers outside of Australia may have a rather rural view of what Perth looks like. 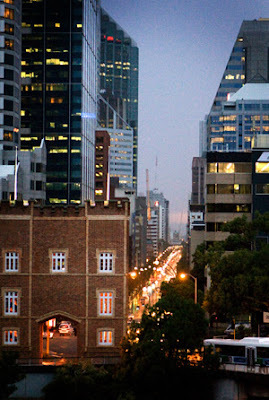 THis photo was on The West Australian Newspaper's website yesterday, so I've borrowed it to show you this is a thriving metropolis, with its own skyscraper skyline and traffic problems. We are part of the modern Western world, but we are situated on the buttocks of Asia. The NYSX influences our finances on a daily basis, but we trade most fruitfully with China and Japan. The snakes and kangaroos and all our wildlife (koala bears, frill-necked lizards, etc) are mainly way outside the city environs, although we do have wildlife parks for tourists and visitors to see in the outer suburbs. We have a thriving cultural society, with many writers and artists of renown living and working here, plus musicians from pop to classical. In fact, when it comes to jazz and pop and blues, we excell. Perth has recorded its wettest February in 16 years. The deluge dumped 31.8mm on the city in just six hours causing traffic chaos and bringing relief to gardens and residents across the city. But the much awaited cooler conditions are not expected to last with a return to stiffling heat expected tomorrow. The record for February, for 1992, sits at 131mm. Bureau spokesman John Relf said the difference between the weather out look from yesterday to today was "unbelievable". “Everything has changed in the past 24 hours,” he said. Perth has also exceeded its 35mm summer average to so far record 49.8mm since the beginning of December that included a 48 day run without any rain. Lawrence Clark Powell - "Write to be understood, speak to be heard, read to grow." 'Write to be understood' - someday. So many authors of genius write before their audience catches up with them - Joyce and Beckett in modern (and post-modern) times. Limiting yourself to write for instant understanding can be exactly that: limiting. John Ashbery once said words to the effect that he wrote what he didn't already know - 'Why write what you already know?' was his point of view. Often I write and I didn't know until I read it what I already knew. Caroline Caddy's latest collection of poetry, Esperance: new and selected poems, was shortlisted for the prestigious John Bray Poetry Award worth $15,000 this week. The Award will be announced at the Adelaide Writers' Festival on Sunday 2 March. Caroline Caddy was born in Perth, Western Australia, in 1944 and spent her childhood in the United States and Japan. Since then, she has lived much of her life in Western Australia, raised two children, published seven books of poetry, received national and state fellowships for creative writing, and won the WA Week Literary Award for Poetry and the National Book Council’s Banjo Award in 1992. Her work has been broadcast on ABC Radio National and appeared in numerous literary magazines and anthologies. 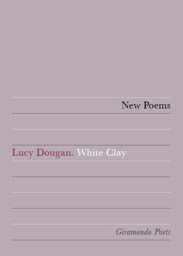 Fellow poets up for the John Bray Poetry Prize include Ken Bolton, John Tranter, Claire Gaskin, J. S. Harry and Geoff Page. Ron Sims, freelance radio producer, sculptor and friend, dropped by today to record an interview about haiku and to take some haiku away for recording by illustrious acting talent such as my other old buddy Peter Holland. Six degrees? Nah, less'n that in this town. This is all for a future Poetica ABC radio programme - to go to air sometime in the future. I'll no doubt advertise it before hand here on Hispirits. Cottonmouth is a performance-based project by and for emerging wordsmiths. Held monthly, Cottonmouth #1 will feature Vivienne Glance, Jay Pruyn, Gabby Everall, Mathas, Benedict Moleta, Kevin Gillam and others. There is a limited open mic spot. Cottonmouth will also feature a national podcast and monthly publication. For more information visit www.cottonmouth.org.au or make media enquiries by contacting Sean Wilson on 0402 785 592. Why Does It Still Take So Long To Publish A Book? Maybe you have to sign up - I don't know. I've already signed up some time ago to the New York Times so now it is all easier to access. The PressPress Chapbook Award is for an unpublished chapbook length manuscript of poems. The winning manuscript will receive $300 and chapbook publication with PressPress. The Award will be announced in July 2008 on the site. 1. The manuscript should be an original poetry of chapbook length (ie 20 to 40 pages). It must be unpublished and not on offer to another publisher in Australia or elsewhere (except that individual poems can be already taken or on offer to journals, sites or anthologies where you keep the copyright). 3. The Award will be judged by the PressPress Award panel: the decision will be final and no correspondence will be entered. 4. The Award, $300 (AUD) and publication of the manuscript as a PressPress chapbook, will be announced on the PressPress site in July 2008. The final content of the winning chapbook will be negotiated with PressPress editors. 5. The author's name and address must appear on the entry form but not on the manuscript. 6. A stamped self-addressed envelope (SSAE) big enough to return the manuscript OR a small envelope for notification of results (in this case the original ms will be recycled and the disk destroyed) must be included if you want your entry returned. Entries from outside Australia must be accompanied by an International Reply Paid Postage Coupon. 7. Two copies of the entry should be provided: a hardcopy typed double or one and a half spacing on single-sided A4 with no borders or illustrations or fancy fonts; and, a digital copy on disk as a pdf or in Word (Mac or PC) or Appleworks. 8. Entries must be received by 30 May 2008. 9. Attach an entry form and a cheque or money order (or pay by credit card via PayPal) for the administration fee of $15 (AUD) per entry.